Tangled and True: best ever. If you're looking for the best chocolate chip cookies you've ever had, then I have a recipe for you! Seriously.. so good, and if you use guittard chocolate chips, oh man, you'll be in heaven. Disagree? Send me your recipe and prove me wrong. Ok I am going to try this one because I am still on the lookout for "my" fav choc chip cookie recipe!! I would love for you to try my recipe. 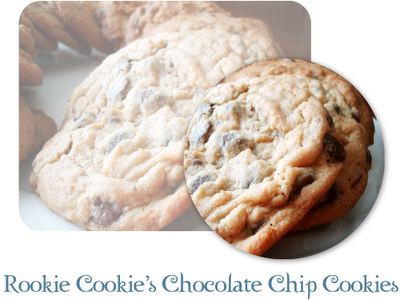 It's won a couple of awards for being the best chocolate chip cookie. You can find it at this link. I will try this one as well though. You can never have too many chocolate chip cookie recipes. Yum! If only the guittard chocolate would be safe during the time I took to mix the ingredients! I have made this recipe 4 times already! Everyone thinks these are the best ever. They turn out so perfect every time. I only had this banana pudding so I added that and they turned out delish. I guess you could experiment wi/ the different flavors, I would love to put chocolate in there. I am sucker for a good choco chip cookie recipe! I was all ready to send in my cookie recipe, until I clicked through and realized it was the same one! They totally rock with chocolate pudding too.